Visit the South Street Seaport and get in touch with old New York: Several hundred years ago, the district served as the main trade and business center for Manhattan. Now, in the midst of a massive revitalization project, the Seaport is shaping up to once again be an anchor for the growing lower Manhattan community. Visitors today can wander through the quaint cobblestone streets and 19th-century brick buildings and find a shopping mall on Pier 17 offering stunning views of the East River. History buffs and high-seas enthusiasts should stop by the South Street Seaport Museum on Fulton Street at Pier 16. Exhibitions display models of past and current ships, narrate tales of maritime life and culture and explore the rich history of New York Harbor. Adventures types can climb aboard stationary ships in the "Street of Ships" exhibit, and experience the daily life of sailors at the turn of the century. The Seaport is also a popular location for many leisure cruises, with access to Hornblower Cruises and New York Water Taxi embarkations. 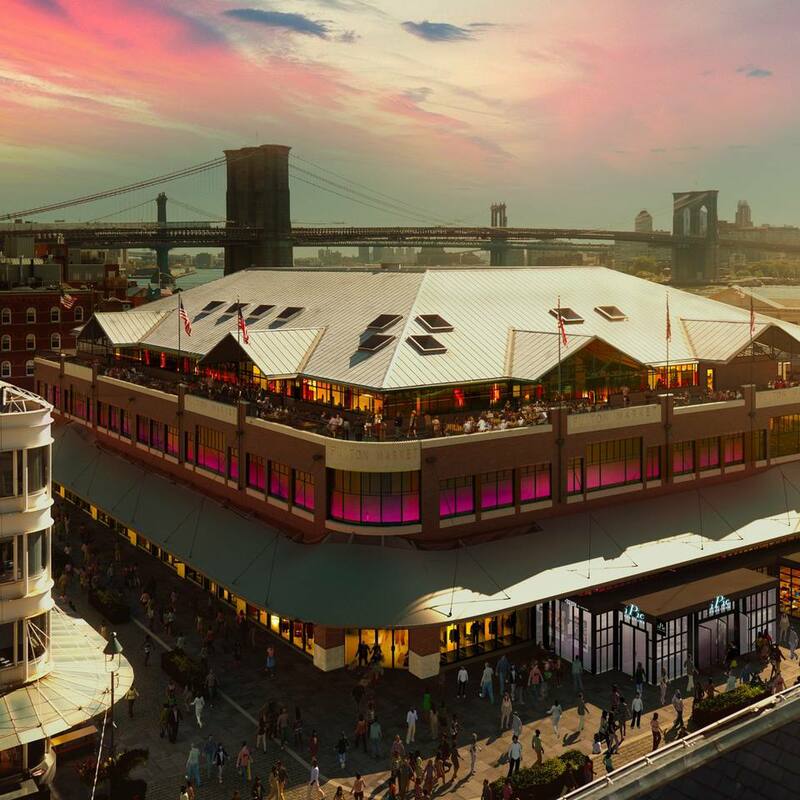 The Seaport also features an iPic Theater at the Fulton Market and a TKTS ticket center for those wary of standing in line for discounted Broadway tickets at Times Square. Look out for about two dozen shops, including Abercrombie and Fitch, Guess, and unique shopping enclaves like South Street Local Artists, Seaport Studios Design Market, and the Fulton Stall Market. See a full store directory for more options. The mall is open daily from 11 am to 9 pm. The South Street Seaport is located in Lower Manhattan’s Financial District. It is bordered by the East River, Pearl Street, Dover Street, and John Street. Take the 2, 3, 4, 5, A, C, J, or Z trains to Fulton Street. Walk east on Fulton Street to Water Street. What Icons Are in the Shark Speedboat Tour of New York City?